Hiram Percy Maxim , September 1927 QST. History. I joined the ARRL Board in 2000 as Vice Director after Jim Haynie, W5JBP, was elected President and Coy Day, N5OK, moved up to Director. That is nearly twenty years ago! I never thought that I would spend nearly twenty years on the ARRL Board. exponentially and amateurs are actively seeking knowledge to effectively utilize the new technologies, especially the digital communication modes. Technology. JT65, FT8, D-Star, Fusion, DMR and P25 today and who knows what will pop up tomorrow or the next day. Literally, there is no limit to where amateur radio can go with digital technologies in the future. Volunteers. Without volunteers, the ARRL would fail. If you hold an ARRL volunteer position or if you are a club official, thank you for your service. If you are not either today, volunteer tomorrow and keep amateur radio strong. 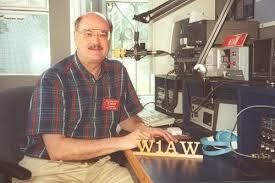 Like the Marines, the ARRL always needs a “few good men”. The WGD has a rich history of volunteers doing a great job to keep amateur radio healthy and secure. Friends. I have made so many and none of those acquaintances would have been possible had I not been a Vice Director and Director. I am truly blessed with good friends and good memories. But. After twenty years, it is time for me to move on. At the end of the ARRL Board meeting, January 19, I will retire as Director and John Stratton, N5AUS, will move up to the Director position. A candidate is now being vetted to serve as John’s Vice Director and an announcement should be forth-coming in a few weeks. Thank you for your support, your assistance, your friendship. history together and the future is ours to create. Thanks to all!